Timothy Morahan, who has been selected to compete in the Special Olympics World Games as a result of success in previous events. Irishtown Special Olympics Club member Timothy Morahan has been fortunate to be selected for the World Games in 2015 in Los Angeles. This will be Timothy’s second World Games, as he was selected for Athens 2011, and attained a silver medal in the 800 metres. Timothy is overjoyed to be selected for a second time, as only some National Games winners are randomly selected for the World Games. 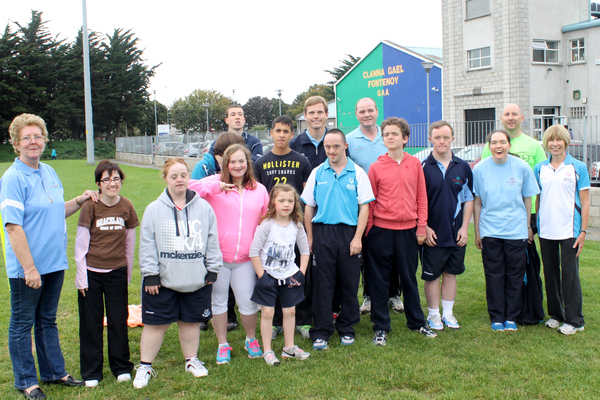 Five Irishtown athletes qualified to compete in the National games held in Limerick last June. They returned with three gold medals, four silver medals and five bronze medals. Irishtown Special Olympics Club was started 25 years ago by Carmel Malone who has a son with Down’s Syndrome. She stated that “there was nothing in the area at the time for him.” Malone recalls her reaction of determination at that time when she thought “right, I’M gonna start a Special Olympics club!” She brought her good friend Bernie Griffin on board and they have been organising the club to this day. 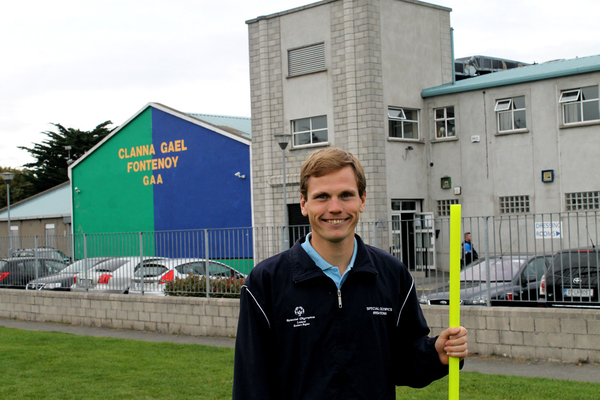 Training has been held every Monday evening at Clanna Gael GAA grounds ever since then. Malone’s determination and the opening of possibilities for these athletes paid off when her son Brian brought back a Gold and Silver medal from Barcelona 1992 in the 100m sprint and the Long Jump. The club currently has 17 athletes, including three who have been involved since the club started – Brian Malone (Carmel’s son), John Donoghue and Margaret Kavanagh. Another local member of the running club, Dean Coleman also plays badminton for Whitehall. He recently won two medals at the recent National Finals in the singles and doubles badminton championships, bringing home a gold medal for the doubles championship and a bronze medal for the singles event. Ireland had received a quota of 89 athletes for the 2015 L.A. Games. There were only four places for badminton in total, and two from each gender, so Dean was unlucky not to get selected. She adds, “To provide the best experience for our athletes we need more volunteers and coaches.” The club is reaching out for volunteers who can help or coach. They would love coaching expertise but they are very open to beginner coaches as there is some training provided by Special Olympics Ireland. You can contact Irishtown Special Olympics Club by calling (01) 660 6231 or 086 190 2720, or by sending an email to carmelandmichael@gmail.com.